The Ceramic Speed Oversized Pulley Wheel (OSPW) System was developed and designed to optimize the performance of Shimano drivetrains. This replacement pulley wheel set features two aluminum pulley wheels, one of which being nearly twice the size of the stock pulley wheels. 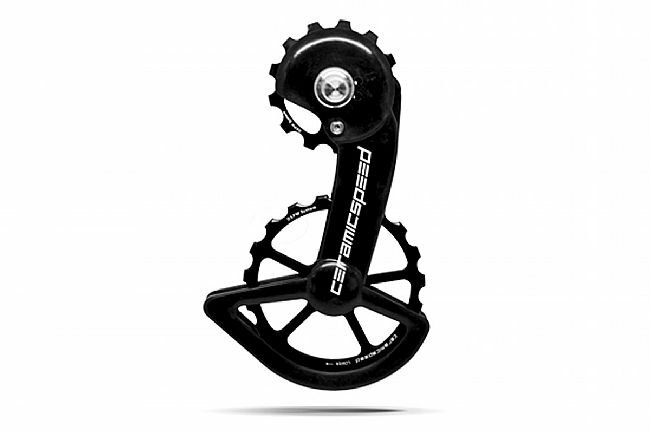 Both wheels feature CeramicSpeed bearings, designed to reduce friction to a minimum. The OSPW from Ceramic Speed offers power savings of up to 60% with a lifetime 3-5 times longer than standard pulleys. 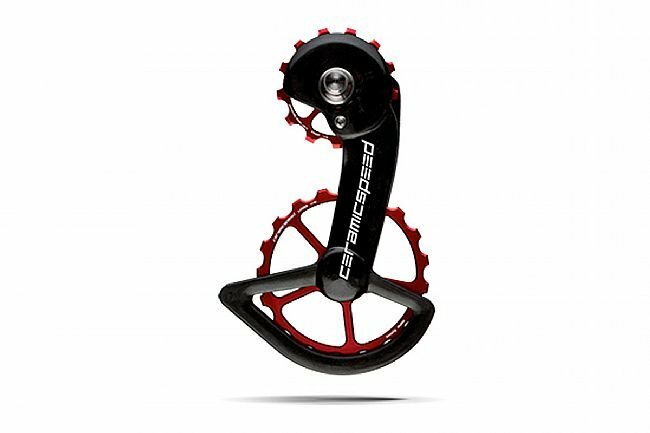 The Ceramic Speed OSPW For Shimano R8000/9100/9150 features an optimal 13/19-tooth combination specifically developed to fit the design of the R8000, 9100 and 9150 rear derailleurs.